SMS has a 98% read rate. SMS has a 98% read rate, this sounds interesting, if you’ll agree. 90% of texts are also read within 3 seconds of being received. That’s better than the read and open rate of emails, and click-through rate of Facebook ads. 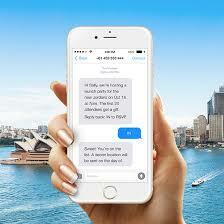 Which means that SMS is treated with much more importance than any other mode of communication. The first text message was sent in 1992 in the United Kingdom. The first SMS was sent by Neil Papworth to Richard Jarvis. Contrary to what your may be thinking, the first SMS exchange did not use two mobile phones. What happened was, Papworth actually used a personal computer to text Jarvis’ Orbitel 901 handset and the message was “MERRY CHRISTMAS”. The rest, they say is history. SMS has a 45% response rate. Almost half of the time, people will respond to a text. Often times the response comes immediately after they are read. Looks like the most effective way of passing information across and getting a prompt response is via SMS. On average, people respond to texts in under 90 seconds; for emails, 90 minutes. Response to SMS comes faster than that of emails. So on the average you should expect a response to your text after 90 seconds. But rather than staying glued waiting for your reply you can do something else with your time and come back at about that time to check for a response. Over 70% of smartphone users text, while only 43% make calls. However, as advanced as technology may seem, with a whole lot of call and messaging apps available such as Whats App, Skype, Facebook, Instagram and many others. This has still not stopped us from texting. Over 70% of smartphone users text regularly. Filipinos send out as much as 400 million text messages on a regular day. 400,000,000? That’s a huge figure if you ask me. If one person sends one message every second without any breaks, it would take him over 12.5 years to send out 400,000,000 messages. Over the course of a year, the amount of SMS messages Filipinos send totals to over 140 billion text messages. Safe to say, they are still the text capital of the world. Lastly, SMS is being used as a marketing and communications avenue by some of the biggest brands worldwide. Used to full effect, SMS helps drive business and sales, while also fostering customer relationships. What are you waiting for send someone a text today and see how long it takes them to reply your text. You can feel free to share your findings in the comment section below and let’s see how long people really take to reply their texts.